We've come a long way from using normal distribution and standard deviation to detect unexpected application behavior. As the systems we run become bigger and more complex, we also have to rely on automated systems that can analyze monitoring data and identify problems automatically. Anomaly detection has become the new standard for avoiding wrong alerts and has improved detection of problems in large-scale environments. This approach alone, however, does not do the trick. There are a number of technological developments that help us to build more intelligent problem notification systems. In particular, we can implement "knowledge-based monitoring" by extracting contextual information from large production environments. 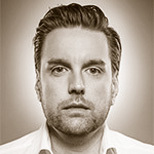 Alois is Chief Evangelist of Ruxit. He is fanatic about monitoring, DevOps and application performance. He spent most of his professional career in building monitoring tools and speeding up applications. He is a regular conference speaker, blogger, book author and Sushi maniac.